Dr. Ahmadvand heads the strategic development, management and licensing of Conversant’s patent portfolios, and leads the company’s research and development activities. 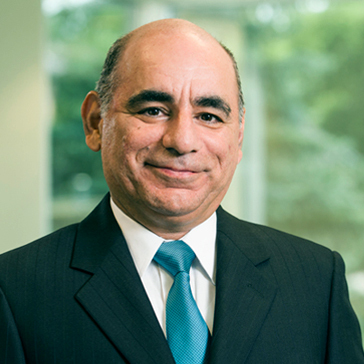 An expert in wireless communications, optical networking, digital signal processing and other electrical, computer and telecommunications technologies, he joined Conversant in 2007. Prior to Conversant, Dr. Ahmadvand was Vice President of R&D at Peleton Photonic Systems. Previously, he was a senior member of Nortel Networks’ Advanced Wireless Access group, where he designed 3G wireless and cellular telecommunications systems. Dr. Ahmadvand earned a Ph.D. in Communications Networks from McMaster University and also did a post-doctorate in digital signal processing. He holds an M.Sc. in Digital Electronics and Computer Hardware, and a B.Sc. in Electronics from Sharif University of Technology in Tehran, Iran. Dr. Ahmadvand has more than 70 patents and applications for his work in telecommunications technologies.